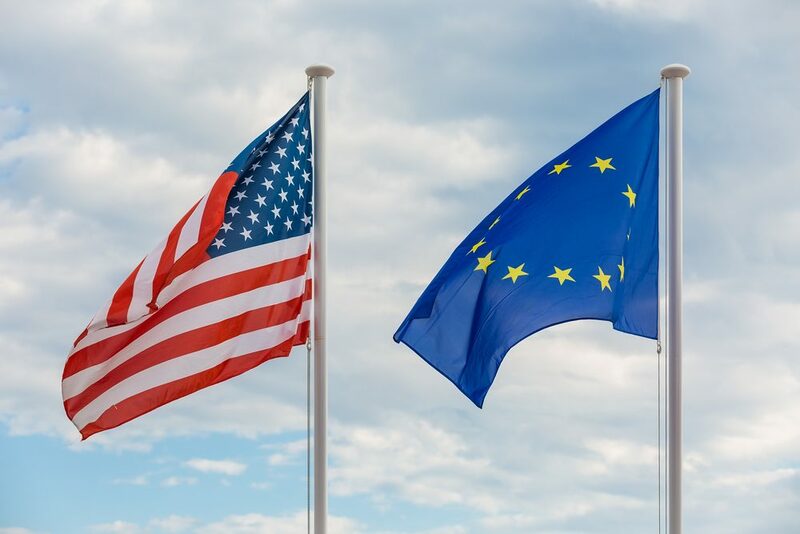 Yesterday, the European Council announced that it is preparing counter tariffs on $20 billion of US goods. EU trade commissioner Cecilia Malmstrom told the Swedish daily Dagens Nyheteron that the tariffs would come into play if Trump went ahead with his plans to impose a fresh wave of tariffs on European car imports. The announcement was oddly timed, as it came a few hours before European Council president Jean-Claude Juncker met Trump at the White House. Earlier, Trump had Tweeted to suggest that the US and EU should drop all tariffs, barriers and subsidies. He said that he hoped the EU would agree to the plan, but stated they wouldn’t. However, the EU and US have made a breakthrough on trade and have seemingly agreed a truce. The exact details are a little thin on the ground at the moment, but Juncker and Trump confirmed they are working towards a trade deal similar to what Trump outlined in his earlier Tweet. Currency movements were fairly sedate throughout yesterday, with only very slight moves between sterling, the euro and dollar, but we might see some euro movement later today as the European Central Bank announces its interest rate decision. While rates will certainly be kept on hold this time around, it will be interesting to see if there is a change in future policy, particularly regarding when we might see the next rate hike, but also if policymakers decide to change course on quantitative easing – it is due to halve in September and then end altogether from December. New home sales in the US declined by 5.3% in June from the month before, which is the lowest rate since October. In Germany, the Ifo business climate index fell to 101.7 in July from 101.8 in June, which was better than the 101.5 the markets had been expecting. However, it is still the lowest reading since March 2017 and is indicative of ongoing trade war fears. In the UK, mortgage approvals in June came in higher than expected and hit their highest level since September 2017. Today will see Gfk consumer confidence in Germany, durable goods orders in the US, and the aforementioned ECB rate decision and press conference. We can also expect to hear more on the meeting between Juncker and Trump. Our forecasts include currency predictions for the next 12 months from some of the major banks around the world. Remarkably, there is a 22-cent prediction between the minimum and maximum rate predictions in the next three months! Can your business afford to take the risk that the markets will move in your favour, or is it better to hedge your exposure and protect your budgets, margins and profits? Economic data was a little mixed yesterday, as although UK finance mortgage approvals came in better than expected, they still showed a slowdown of 0.9% compared with the same time last year. Still, we should be thankful for small mercies and the fact that British banks approved 40,541 mortgages in June 2018 to hit its highest level since September 2017 is certainly a positive. The Confederation of British Industry’s distributive trades survey fell to 20 in July from 35 the month before, but it was still better than the 15 the markets had been expecting. Retail sales growth expanded at a healthy rate in the year to July, but the outlook is weaker than before. The extended period of good weather is helping to encourage shoppers to put their hands in their pockets, but retailers expect sales volumes and orders to flatten out next month. There are no major economic data releases scheduled for the UK today, so any sterling movements are likely to come from events elsewhere, or perhaps some Brexit developments. Yesterday, the EU trade commissioner Cecilia Malmstrom announced that Europe is preparing to impose new tariffs on $20 billion of US imports. The tariffs will only go ahead if Trump follows through on his threat to place new tariffs on European car imports. The announcement wasn’t very diplomatic, coming as it did as Juncker prepared to meet Trump to discuss trade. The two have reached an agreement and the EU and US will now negotiate on the best methods to get to ‘zero’ tariffs, barriers and subsidies. Both sides have agreed not to impose further tariffs while they are negotiating which should go some way to calming market fears over the next few weeks. Today we will see the ECB interest rate decision and the accompanying press conference. It will be interesting to see what president Mario Draghi has to say about the eurozone’s recent economic performance. We will also see Gfk consumer confidence for August from Germany. The meeting between Trump and Juncker was always likely to steal the headlines, but it appears to have gone well. The two sides have agreed to work together towards zero tariffs and, although details are a little sketchy at the moment, it is a step in the right direction. Europe is unlikely to accept everything the US proposes while the steel and aluminium tariffs continue to exist, but it does feel as if a crisis has been averted. For now. The main release of note yesterday was new home sales in June. They declined by 5.3% from the previous month to a seasonally adjusted annual rate of 631,000 which is the lowest rate since October. The figure was worse than market expectations of 670,000. Initial jobless claims to 21 July 2018 will be released today and are expected to jump to 215,000 from 207,000 the week before. The last reading was the lowest since December 1969 so an increase is jobless claims is nothing to be too concerned with. We will also see durable goods orders in June.